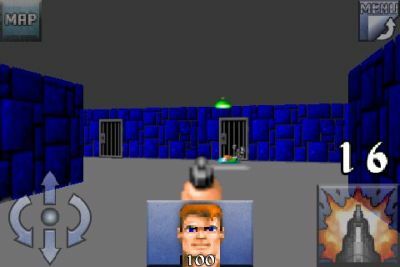 John Carmack has released the source code of the iPhone version of the famous Wolfenstein 3D video game. You can grab it here: wolf3d_iphone_v1.0_src.zip (10Mb). The zip file also contains a doc about iPhone Development by John Carmack. The original Wolfenstein 3D was written in 16Bit turbo C, and as far as I know id-software didnt write the opengl render for this port John Carmack took the redux codebased and built this port from that. I have download this source code and i tried to run, i got 3 errors related to ” _GLimp_Shutdown, _GLimp_AppActivate”, do u know what is this? There is still compile errors related to ” _GLimp_Shutdown, _GLimp_AppActivate”, with ReleaseEpiosde1 configuration. My XCode sdk has sdk from 2.0 to 3.1 . Can you helpe me ?